Washington : Indian-Americans in California have begun preparations for a grand reception similar to last year's Madison Square Garden event for Prime Minister Narendra Modi, who would be the only second Indian premier to visit the state with a trip planned in September to Silicon Valley. Representatives of Indian-American organisations held their first full-fledged preparatory meeting in Sunnyvale, California to accord the grand reception to Modi at Silicon Valley, during the September visit. Modi is to attend the Annual General Assembly meeting of the United Nations in New York in September-end. After that, he is set to visit Silicon Valley and address Indian-Americans, including technology entrepreneurs, there though an official announcement is yet to be made. "We have planned a community reception on the evening of September 27 at the SAP Centre, San Jose where close to 20,000 people are expected to gather to hear him speak," said Khanderao Kand of newly-formed Indo-American Community of West Coast, USA. The meeting was addressed by the Indian Ambassador to the US, Arun K Singh, via a video conference. Among others, it was attended by Consul-General of India in San Francisco, Venkatesh Ashok, and Dr Vijay Chauthaiwale, in-charge foreign relations department of BJP. Chauthaiwale is on a visit to San Francisco Bay Area to oversee the preparations for the reception. "The event is a historic moment for the Indian community in Silicon Valley and the diaspora in general," he said. 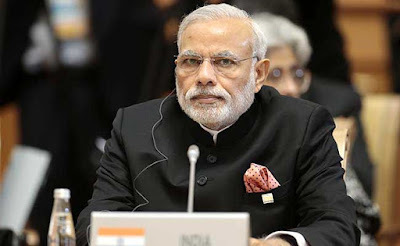 The Prime Minister's visit is considered significant, especially with regard to his 'Digital India' initiative that aims to use technology in connecting people and transforming governance in India, said a media note by the organisation. Modi would be the second Indian Prime Minister to visit San Francisco-Bay Area after Jawahar Lal Nehru's trip in 1949. San Francisco-Bay Area, of which Silicon Valley is a part, is home to about half-a-million-strong Indian-Americans. Last year when Modi visited the US, he was given a grand reception at New York's historic Madison Square Garden. He addressed nearly 20,000 Indian-Americans there. Like Madison Square Garden in New York, the SAP Centre is a top indoor venue in the US for such events. In 2006, the SAP Centre sold the most tickets to non-sporting events of any venue in the western US, and the fourth highest total in the world, after Madison Square Garden in New York City, the Manchester Evening News Arena in Manchester in Britain, and Air Canada Centre in Toronto. Last year, pop superstar Miley Cyrus performed at the arena during her Bangerz World Tour. In April this year, pop superstar Ariana Grande performed at the arena during her Honeymoon World Tour for the first time with a sold out crowd of 12,717 people. Organisers expect a packed crowd at the SAP Center, also known as Shark Tank, when Modi addresses Indian-Americans on September 27.